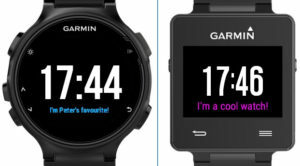 Garmin devices come in different shape and sizes, have different memory constraints, and have different levels of Connect IQ compatibility. To be able to maintain different Connect IQ devices you can use the has functionality to test whether a certain feature is present on the device, but applying this technique too much makes the code unmanageable. You could also set up a Connect IQ project per device and copy/paste your code across your projects, but this is very labor intensive to keep your code in sync and is prone to mistakes. 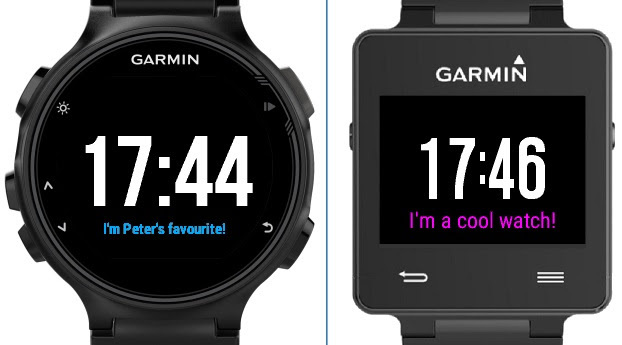 Using one code base to handle all Garmin devices compatible with Connect IQ is easier than you think. All you have to do is combine three core features of the Connect IQ framework: inheritance, resource overrides, and file excludes. Let’s see how these features help you to solve the issues that held us back. One way to solve different size/shape issues is to use the layout system. This works perfect for watch faces as you have a lot of memory available there. In data fields, the memory budget is usually tight and as the layout system has a higher memory requirement, I got used to opting for using direct drawing on the dc object instead. I want to have the same benefits as the layout system though, as I might want a different layout on each device. Define a base class CommonLogicView where we handle all logic that we have to do on each device. // Common update of the screen: Clear the screen with the backgroundcolor. 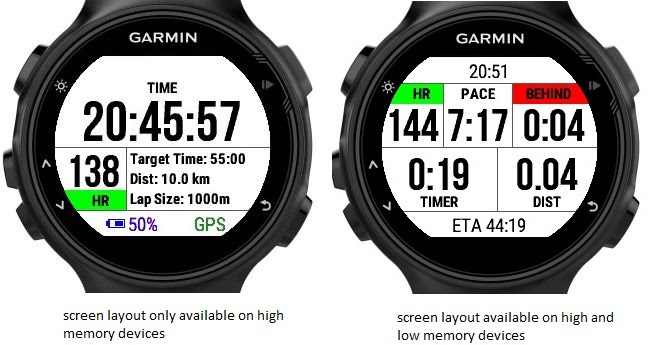 The Forerunner 235 and Forerunner 735XT are both semi-round, but they have different memory limitations. For instance, in data field mode, the FR235 allows for 16K of memory, while the FR735XT has 26K of available memory to play with. That means we can pack 10K more goodies in the 735XT data field! In my Peter’s (Race) Pacer app I’m taking this technique to the extreme and have 4 layers of inheritance defined: CommonLogic, LayoutLowMemory, CommonHighMemoryLogic, and LayoutHighMemory. 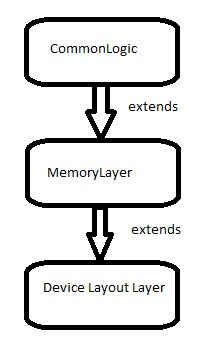 All layers inherit from each other so that I don’t have to write a single letter of duplicate code. This allows me to support all combinations of Connect IQ 1.x and 2.x devices from a single code base, while getting the max out of the available memory for each device! We are treated with more and more features being added to the Connect IQ framework. Older devices can not be upgraded to Connect IQ 2 because they don’t have enough processing power and/or memory available. Luckily we can apply the same technique of combining inheritance and file excludes to be able to use new Connect IQ 2 features in our projects while simultaneously also retaining support for users that have Connect IQ 1 devices. Cool, eh? Let’s demonstrate this with a sample project. I’m going to extend the watch face with the ability to pull “to do” lists from a web-service via a background process, while at the same time we continue to support Connect IQ 1 devices. Of course the functionality on the Connect IQ devices will remain the same as before the changes as there is no alternative to background services in Connect IQ 1.x. 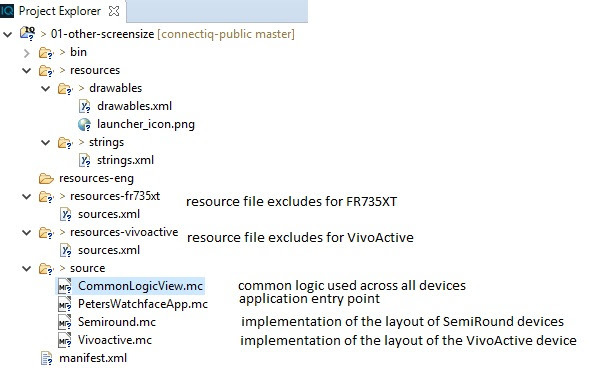 In addition we change the DeviceView to show the message variable and in the resource file excludes exclude either the Ciq1View.mc or Ciq2View.mc. // register for temporal events, we don't need to check whether this is supported, we know we have a Connect IQ 2 device here! The service delegate is the main entry point for the background service, inside we’ll fetch a random to do item from the web-service. // this is called every time the periodic event is triggered by the system. Hope you’ll like this technique! it works, the build is not failing, and i got this error only for the second deviceview i created. Any hints on this?